You've learned how to negotiate, fight better, change bad behaviors, even laugh more. Why hasn't brought the change you really want in your marriage? Here's the answer: you don't build or even repair a marriage with a bunch of techniques. To have a fulfilling, enduring marriage, you must replace what is often missing at the core: true emotional connectedness. Much of how we live our lives today wars against true connectedness. The result? We think we are "connected" with others, even our spouse, but deep down we are terribly lonely. Do you understand the importance of equipping your child with the emotional intelligence needed to succeed in school, friendships, and in adulthood? Do you want to learn some of the skills needed to give your children the chance to "conquer the world?" That chance starts with emotions! Strong, healthy, emotional connections aren't needed only through hard times but at all times. A good emotional foundation affords the experience of parents helping their children take chances, have friendships and grow into their potential. Wouldn't it be great if we could shield our children against stress, bad habits, and unhealthy relationships? Realistically, parents cannot accomplish this great feat. Children have to experience life. 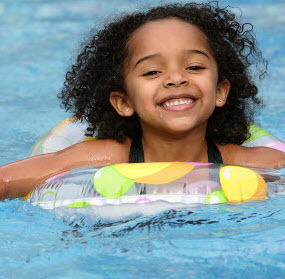 However, with the right attitudes and skills, parents can help their children adapt and respond to setbacks. This 3-hour workshop is for parents who want to prepare their children to cope and bounce back from the tidal wave of events that can knock them off life's course. 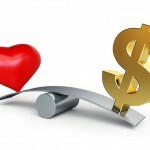 Are your beliefs about money stifling your relationship? Does your partner hold your spending habits over your head? Is your ego in control when it comes to finances? Do you feel you must make a choice between money or happiness? If you are married, engaged, or in a committed relationship, this workshop is for you! Family First Psychotherapy Services also presents workshops and training sessions for groups, organizations, and companies within the Washington, DC metropolitan area.